Discover how the Beyond T&E integration with Dynamics SL can help your organization increase project profitability. 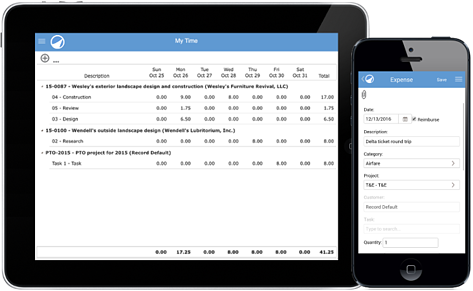 24/7 mobile access enables your employees can accurately capture their time and expenses on the go. The easy-to-use, flexible interface with role-based configurations provides employees the information they need most at their fingertips. Enhance your Dynamics SL experience with a seamless integration out-of-the-box. Beyond Software is developed and published by the creators of the product Solomon Software, now Microsoft Dynamics SL. Beyond has deep expertise in the project market space, particularly with firms in the professional services industries. We use the latest tools, technologies and platform to develop high-quality web based software that facilitates your organization’s ability to manage and execute around your projects, making your company more profitable by increasing visibility into projects, creating accountability within the projects, and improving cash flow through faster and more accurate invoicing and expense management.